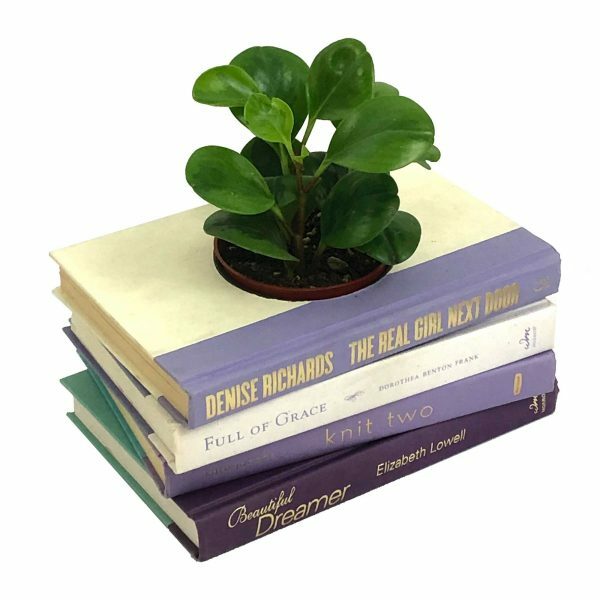 Lovely purple and white decorative book planter crafted from contemporary books. 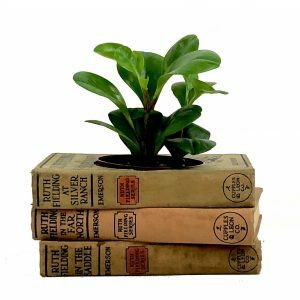 Add a wonderfully unique decorative accent with this beautiful book planter in shades of lavender, eggplant, white and teal. Even the book’s titles are unique and fun. 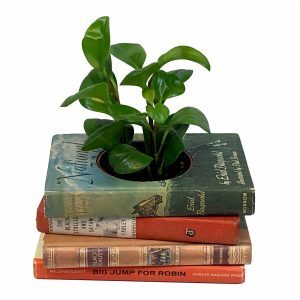 Want a book planter in different colors? 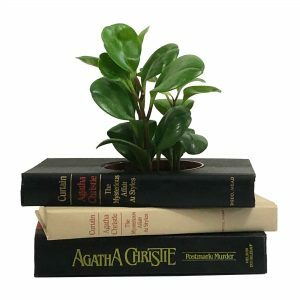 Just click here to order a book planter in the colors of your choice. 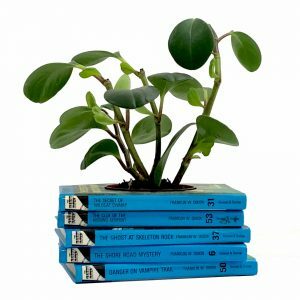 Measures approximately 9-3/4″ x 7” x 4” including the provided plastic pot.